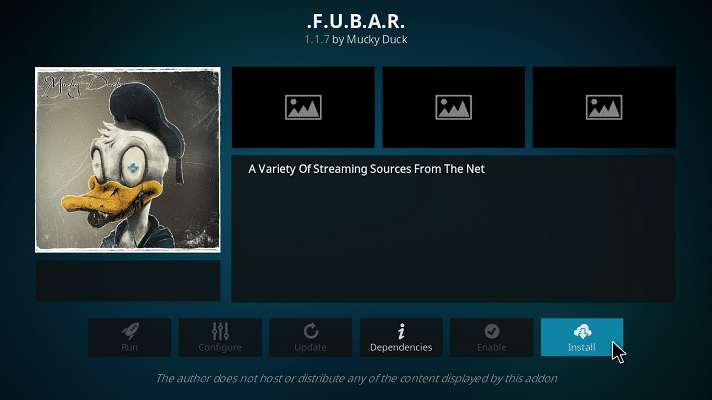 The Kodi media player can index all of the entertainment files that you have on your computer, creating a central library that gives you one app to access all of your videos and music. The ability to channel streaming video over the internet to Kodi further expands your entertainment options. Add-ons give you access to all of this extra entertainment. If you have a subscription to a premium entertainment service, such as NowTV, Netflix, or HBO Now, you can link those accounts to your Kodi player and access them there. In each case, you will need a specific add-on to get your subscription service to play through Kodi. Check out our Best Netflix VPN guide. Be careful when you look for Kodi add-ons, because not all of them play by the rules. Media companies and governments are getting very hot under the collar about Kodi right now because of add-ons that make copyrighted material available for free without the permission of the owners of those videos. Thus you may read that Kodi is illegal. However, that's not the case. The illegality arises from some add-ons. BestVPN.com does not condone copyright infringement. While we are aware that VPNs can be used to spoof your location to another country, and thus overcome geo-restrictions, their primary purpose is to provide you with online security and privacy. First and foremost, this is why we recommend using a VPN on Kodi. Read our list of the best Kodi add-ons as at December 2017. If you've never installed an add-on before, you can read instructions on the task further down in this review. USTVNow is a subscription service that channels a number of American TV stations. These include CBS, NBC, Fox News, and ESPN. If you already have a USTVNow subscription, you just need to sign in when you first start up the add-on. 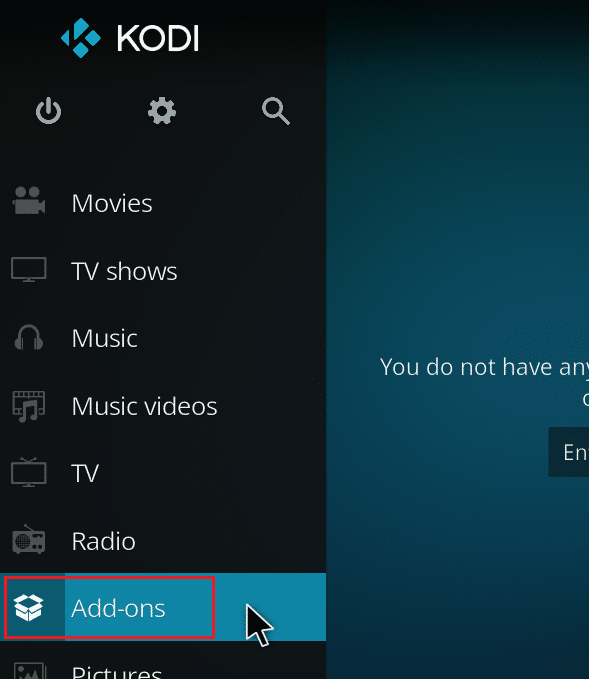 If you don't have a subscription, you can sign up from within the Kodi add-on. The company offers a free trial. Stream Super Bowl 53 on CBS with a VPN! As its name suggests, Film Emporium is a great source for movies. However, this add-on also includes a lot of live streams, including mainstream US and UK TV stations. You'll find this add-on in the Dandy Media repository. SmoothStreams offers more than 50 channels, including the major US sports streaming services. As well as live streams of sporting events, such as NFL, NBA, and MLB games, you can access specialist broadcasters and all the major US TV networks. The BBC is famous across the world for its quality programming. You can watch all of the BBC channels over the internet through your browser by accessing BBC iPlayer. This add-on gets iPlayer into Kodi. The Kodi iPlayer gives you access to a library of on-demand videos and boxed sets, as well live streams of the BBC TV channels. This add-on gets you access to one techie's own playlist. The genius in question lives in the UK but is of Turkish extraction, so his video collection is mainly sourced from those two countries. The libraries of videos are so well categorized that this add-on has become a hit with the public. Get this add-on from the Cerebro TV Repository. You get live streams of TV stations and video streaming services from all around the world with this add-on. As well as those live streams, the system has an extensive library of videos, which includes movies, documentaries, and fitness videos. The repository for this service is available at the Maverick TV website. StreamHub incorporates Mobdro, which gives access to live TV streams from around the world. Those channels include both free and premium TV services, such as sporting franchise channels and HBO. This system has its own repository, which is also called StreamHub. Ultra IPTV includes internet streaming services from around the world. The library of channels includes specialist services, such as sports event streaming and news channels. The site also has a lot of movie channels and shows in many different languages, so if you're far from home, you have a good chance of finding entertainment in your own language with this add-on. You can get Ultra IPTV from the Cazlo repository. SkyNet is another extensive library that gives access to live streams of TV channels from around the world. This add-on also includes access to on-demand entertainment videos that include movies, shows, and documentaries. The SkyNet add-on is available from the Maverick TV repository. cCloud TV offers a library of entertainment. An associated add-on that is packed into the same repository is called cCloud Live TV. It brings you access to live streams of TV stations from around the world. You get this add-on from the Cazwall repository. This collection of IPTV channels gets you access to entertainment from all over the world. These channels include both free-to-air and premium TV stations in a wide variety of languages. Although this add-on can get you to these overseas channels, it can't get you around their regional restrictions. You can install this add-on from Super Repository. BOB Unleashed, also known as BOB Unrestricted, gives access to a long list of streaming services, but many of them require a subscription, which BOB can't get around. As such, you'll need to sign up to premium channels to get the most out of this add-on. BOB Unleashed is available in the Noobs and Nerds repository. Specto is a fork of Exodus, which you can read about below. The movie database is a big attraction and there are also videos from Sky TV channels, although not a live feed of those stations. The add-on will look around the web for alternative sources for each listed video. When you select one, the menu will give you a list of options from which you can choose to watch. Safehouse Movies sticks to its core activity and just lists movies (most other major Kodi add-ons include shows and live TV streams). This add-on is available from the Dandy Media repository. This add-on is a great source of Bollywood movies. There is also fantastic entertainment from other diverse sources, including movies from Africa and dramas from Korea. "SALTS" stands for "stream all the sources." Like most of the add-ons in this movie category, SALTS also gets you access to popular TV shows and dramas. This add-on is available from the Kodil repository. F.U.B.A.R. 's library has a great range, with categories including children's entertainment and also Bollywood movies. This is a great pack of movies. The add-on is available from the Mucky Duck repository. Poseidon is one of the stars of Kodi and is hailed as the new Exodus. You can obtain this add-on from a number of repositories, including Kodil and Noobs and Nerds. Exodus was at the top of the tree until its underpinning mechanism at TVAddons.ag was shut down. 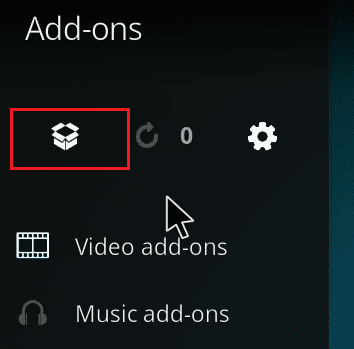 Now, you can install the Exodus add-on, but none of the videos you select will play. Despite being defunct, Exodus is still being distributed through Super Repository and Kodil. Covenant is the official replacement for Exodus. However, many of its links have been taken away by the closure of its hosting sites, which has given Poseidon the edge in the race to replace Exodus. Covenant is available from the Kodil and XvBMC repositories. Deliverance is a particularly good add-on for soccer junkies. The system's menu includes a league table for the English Premier League and there are lots of highlights from recent matches. Other channels provide sports-related movies and shows. Deliverance is not just about sports; it also offers children's entertainment, comedies, documentaries, and seasonal programming. Rising Tides is a good location for accessing live sports events, but most of those are only available with a subscription to the broadcasting channel. Channels listed in this add-on include BT Sports, ESPN, Fox Sports, and Bein Sports. You can get this add-on from the Mulla Fabz repository. Like Rising Tides, Elektra Vaults is a good source of access to live sporting event streams. Highlights of recent matches are also available through this add-on. VidTime gives access to live streams of sporting events and is a good source for hockey, basketball, and UFC matches. Although the add-on specializes in live streams, there's also a library of recorded match highlights. Football Repeat specializes in soccer. This add-on doesn't provide live steams of matches, but it does have an impressive list of leagues in its library, including the Premier League, the Champions League, Germany's Bundesliga, and Serie A from Italy. Halow draws in fans with its impressive library of links to live streams of sporting events, which it gives access to for free. There is more to this add-on than just sports, though because the library also includes channels for children's entertainment, movies, and more. Halow also includes radio channels. If you're happy to pay for access to entertainment on Kodi, then you should take a look at Sports Mania. This subscription service for the UK gives you uninterrupted streaming because the company has invested heavily in its server capacity and video transmission technology. Bandicoot Vids specializes in videos of live events. That doesn't mean real-time streaming of events as they happen, but recordings of live performances, such as stage plays and music concerts. Having said that, the channel does also have live streams, which include coverage of sporting events. This add-on also has a movie library of classics, though no recent blockbusters. This is a music streaming add-on, which you can get from the Super Repository. The library is well indexed by genre, which enables you to put together your own playlist. BeatZ has a very large music library, which will keep you endlessly entertained. This music streaming add-on comes from its own repository that is produced by Stream Army. Rave Player has a great music library with a distinctive section of DJ sets and mixes. The long sets give you a pre-mixed music stream that will continue for hours without you having to select individual tunes. The Music Source has lots of different musical entertainment. The add-on gives access to a library of digital music files, as well as video music channels. You can access digital radio stations through the add-on and stream DJ sets. TuneIn is a popular digital music app. This add-on makes the service available from within Kodi. You need a TuneIn account in order to access the system through Kodi. However, you can get an account for free. AnimeGo is a great source of Japanese animation. The add-on gives access to movies and animated series. AnimeGo sources offer good transfer speeds. This anime add-on has a larger library than AnimeGo, so if you're a big fan of anime and manga, this is likely a better choice for you. KissAnime is the top dog among Kodi anime add-ons. AnimeGo has 500 titles, while AnimeFTW.tv has 700. KissAnime has more than 6,000. KissAnime is constantly updated, so contemporary entertainment is always available, as well as much older titles. Cartoons Clown is available from the Super Repository and Kodil. This add-on is not just a good source of cartoons, but also has movies and children's shows to keep your kids glued to the screen. CartoonsOn focuses on cartoons for kids. The library includes classics, series, and movies. 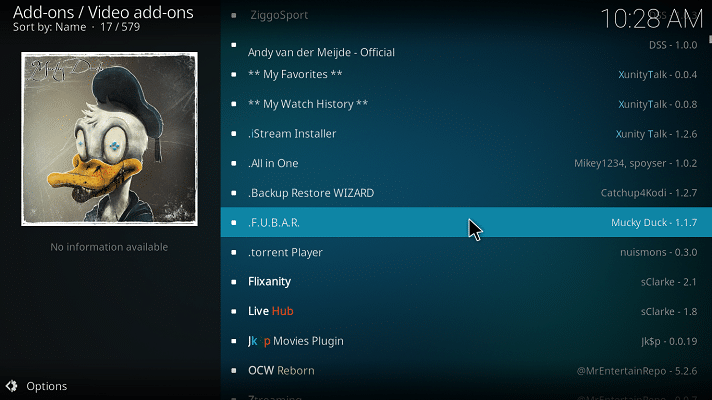 This Kodi add-on is available from the Noobs and Nerds repository. Nickelodeon and Nickelodeon Jr are very popular children's TV stations. Thanks to this add-on, these two cable TV channels are now available in Kodi. Cartoon HD has a great library, which includes educational material along with classic children's entertainment. This add-on is well maintained and free of bad links. You can access the service through the Xunity Talk repository. Super Cartoons Kodi is an offering from the excellent Dandy Media, and is available through the company's own repository. The navigation structure of this add-on was designed to be easy to use, so your kids can man the controls and choose videos. If you prefer factual videos, this library of hundreds of documentaries will give you plenty of food for thought. This Kodi add-on has been around for a long time, with its well-categorized library and reliable links earning it a loyal band of followers. This is another great resource for documentaries. As with many entertainment add-ons, Decado Documentaries uses YouTube as one of its sources. Thus you'll have to have the YouTube add-on installed in order to use this system. This and other supporting add-ons will install automatically alongside Decado Documentaries. This add-on is available from the Super Repository and also from Kodil. The Films For Action add-on gives access to a library of more than 2,500 films and documentaries. The sources of these films are pressure groups and activists who want to highlight a cause in order to help change the world. You can install this ad-on from the default Kodi repository. NASA produces a lot of video output, both to explain its mission to the public and as the result of exploration and research. A lot of that video is available for viewing by the public through this Kodi add-on. In addition to video, the add-on gets access to live streams of satellite images. 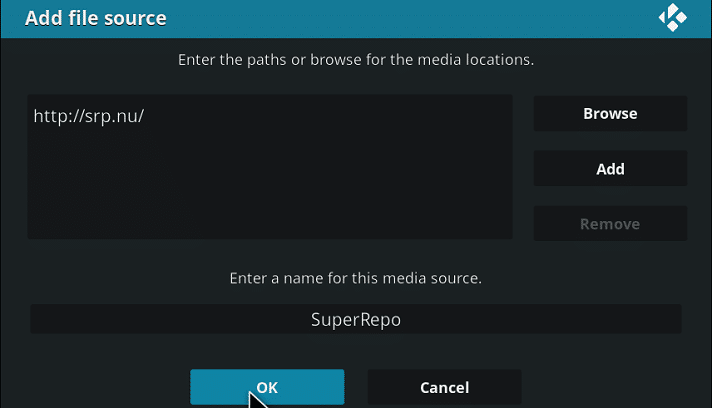 This add-on is available in the default Kodi repository. Nemesis is a paid service that uses a variety of video sources, including torrents, via a system called Real-Debrid. Videos are available in the high quality 4K format and are delivered at high speeds. Content available through this add-on includes movies, shows, anime, cartoons, audiobooks, and adult material. Check out our best VPN for torrent sites for more information on using a VPN when torrenting. Vader Streams is a premium service that delivers premium channels. These include HBO, Hulu, and AMC HD. Sporting events that usually require a pay-per-view payment are also included in the fee for the Vader Streams add-on subscription. Planet MMA is the new name for UFC Finest. This pay-per-view add-on delivers live UFC fights and also includes a library of fighter profiles, past fights, documentaries, and UFC-related entertainment. This add-on is available through the Ares Project's Magic repository. You have to pay a subscription fee to use this add-on and the company only accepts Bitcoin. However, this fee will get you access to live events including NBA and NHL games, along with soccer matches from around the world. This is a UK-based film library that is delivered through browsers to subscribers: You can also access it through Kodi thanks to an add-on. You have to open an account with FilmOn TV in order to get the add-on to stream. You can access this add-on through the Cazwall repository. There are three different paths to getting an add-on. You can download a plugin zip file, or a repository zip file, or you can connect to a repository over the web. To install each, follow the steps below. If your quest for an add-on starts a zip file download, you need to install the file in Kodi. A single add-on, which may also install supporting programs, is contained in a file with the word "plugin" at the beginning of its name. A repository contains many add-ons and its name will begin with the word "repository." Make a note of the directory to which the zip file downloaded. 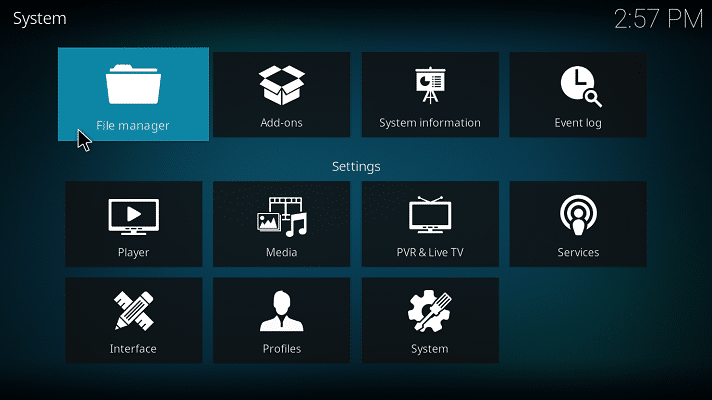 Open Kodi and click on Add-ons in the side menu of the main screen. Click on the open box symbol at the top left of the Add-ons screen to get to the Add-on Browser. Click on Install from zip. Navigate through your directory structure to select the downloaded file. If the zip file is a plugin, it will now install the add-on. 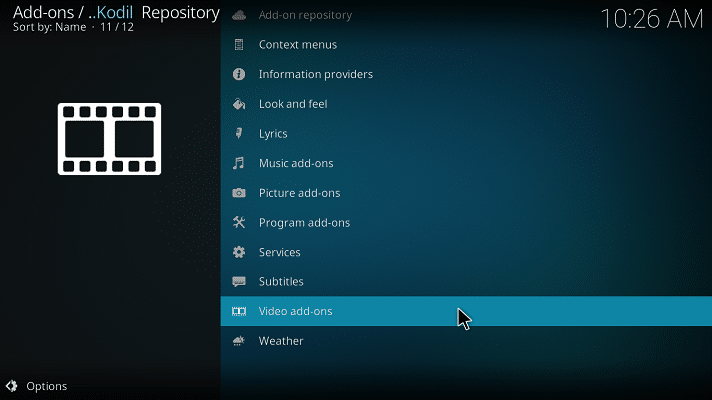 If it is a repository, you will need to install the add-on from the repository (see below). 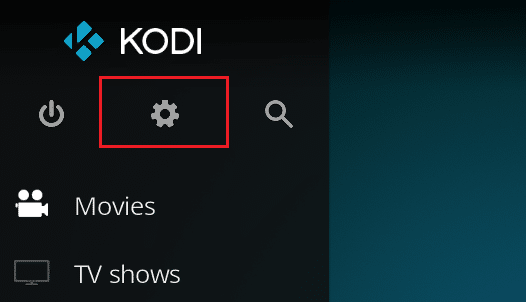 Press the cog symbol at the top left of the main stream of Kodi. This will get you to the settings page. Click on the relevant word in the Add source screen and type in the URL of the repository. This must start with "http://" or "https://" and must have a slash ("/") at the end of the address. Enter a name for the link and click OK.
Press the Escape button twice to get back to the main screen of Kodi. Click on Add-ons in the side menu. Click on the open box symbol in the top left of the menu. 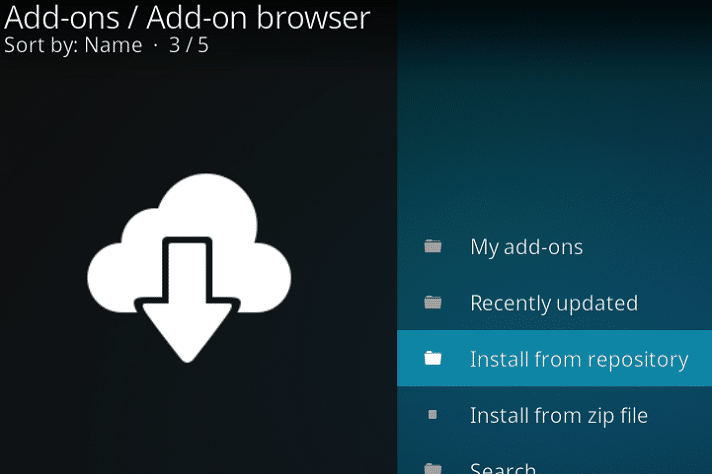 Select Install from zip file in the Add-on Browser. Select the link that you set up in the File Manager and press OK.
You now need to install the add-on from the repository that you just made available to the system. In the Add-on Browser, click on Install from repository. This will present you with a list of available repositories - both those that were sourced through links and those that were installed from zip files. Click on the repository that contains the add-on that you want to install. You will be presented with a list of add-on types. Scroll through the list of available add-ons. Click on the one you want. Press Install in the details screen. Most add-ons require additional programs; you will be told about these in the next screen. Click on OK to continue. A series of messages will tell you that each element has been installed. Add-ons make Kodi a lot more interesting. They can bring you entertainment from all over the world. However, many channels are restricted so that only people in the countries where each service is based are allowed to access them. You can get around these regional restrictions by installing a Virtual Private Network (VPN). The VPN allows you to select a location. Once you turn it on, anyone checking your location will think that you're in the country you chose. This trick enables you to access all of the channels that are only available for other countries. Check out our best Kodi VPN guide for more information on this technology. Combine a VPN with Kodi to expand your entertainment horizons.